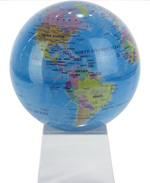 NAITA annually recognizes a regional business or organization with the NAITA Global Trade Award, which honors existing regional businesses and organizations for their dedication in pursuing and penetrating global markets. By recognizing these efforts, NAITA hopes to encourage others to explore and/or expand international business and to strengthen the network of businesses involved in international trade. Read more about the NAITA Global Trade Award. When applicable, NAITA will work with companies and organizations to apply for other trade awards at the federal and state levels. These awards include the U.S. Commercial Service Export Achievement Award, the U.S. Commercial Service “E” Award and “E Star” Award, and the Governor’s Trade Excellence Award.